Working as a contractor for Wilmington, NC creative agency b. Branded, this conference site was built under their direction. 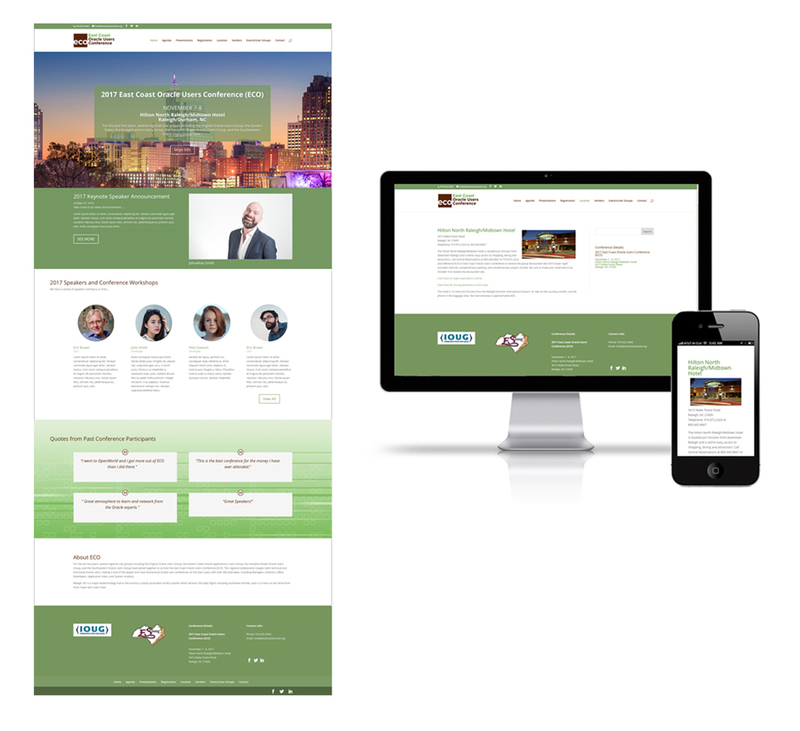 This fully responsive site features many conference details as well as user friendly backend modules for easily adding speakers and user group events. Existing client logo, color scheme and other brand imagery were incorporated into the site to maintain a consistent look and feel with their other marketing materials.